10/09/2012 – Recently the Thecus® N5550 has made its way to countless media around the world, Expert Reviews got a chance to test the N5550 and receives “Business Buy” Award. The system is equipped with a powerful Intel® AtomTM processor, 2GB of RAM and heaps of modules and features that place the NAS on the top of many benchmark tests. 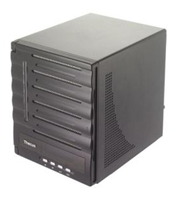 Expert Reviews tests the N5550 by creating RAID 6 with the use of four WD 3TB HDD. For RAID 6 large file transfer tests under SMB share, “this produced an average transfer speed of 83.2MB/s (101.5MB/s read, 64.1MB/s write).” Results are noteworthy and elicits that the powerful 5-bay NAS by Thecus® is ready for challenging tasks. For comparison, RAID 5 configuration was put to the test as well under SMB share. “This time we saw transfer speeds of 92MB/s when writing and 73.5MB/s when reading large files, and 13.5MB/s when writing and 17MB/s when reading small files.” Once again, the N5550 shows its excellence under RAID 5 configuration. A perk that the N5550 offers is the ability to display multimedia playback, with the adoption of HDMI output, local display module, and mouse/keyboard. Users have the flexibility not only to store media files via their N5550 but are able to display it on screen or listen to music. In fact, with the available mobile applications, HippoRemote and Valence, users are able to use their mobile device as a remote control. The Thecus® N5550 sports a mono LCD screen which displays NAS status and even lets users to conduct a quick and easy proper shut down. Located by the screen is a USB 3.0 slot for rapid fast transfers via flash drive or external hard drive. Note, esata is located on the back of the NAS to connect an external hard drive. Many useful modules are provided without charge for the 5-bay NAS. For protection, McAfee antivirus is provided to keep viruses and malware out to protect your sensitive data. The handy module Data Guard allows for both local and remote backup. 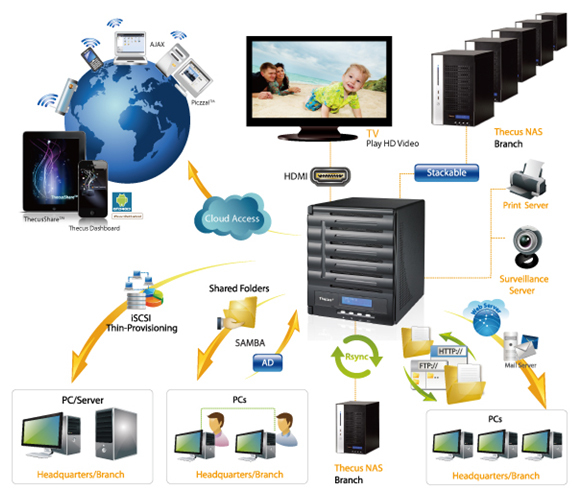 For mobile access, T-OnTheGo allows full access to download, upload and even stream multimedia from your NAS remotely. Overall, the versatile N5550 offers advanced hardware and innovative modules which fosters easy user experience. 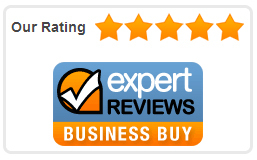 Expert Reviews simple says, “The N5550 provides excellent data transfer speeds and many different sever modules, making this perfect for small businesses.” Expert Reviews gives the N5550 NAS 5 stars and “Business Buy” award for its achievements. If your business opts for a NAS server that is reliable, powerful and full of innovative features, the Thecus® N5550 is the NAS for you.